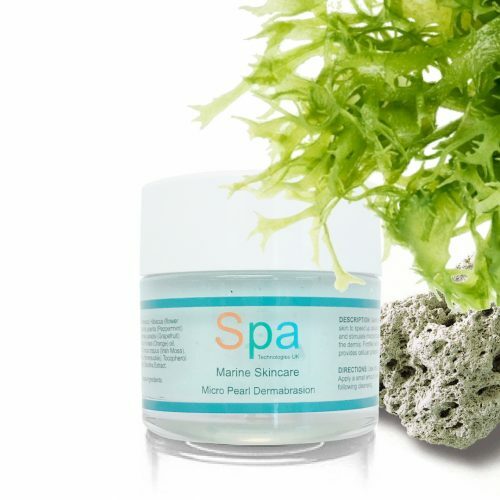 A luxurious and light exfoliating cream (and mask) containing natural micro particles of pearl and fine pumice to gently refine surface skin to stimulate microcirculation and cell renewal. Essential in any skin care routine, especially in anti-ageing. The most effective light exfoliating cream containing natural micro particles of pearl and fine pumice to gently refine surface skin and speed up cellular turnover. It has a foamy green colour due to the presence of spirulina and has a fresh, natural scent of citrus and peppermint. Sheer luxury in a jar, its ingredients will not strip the skin of natural oils. 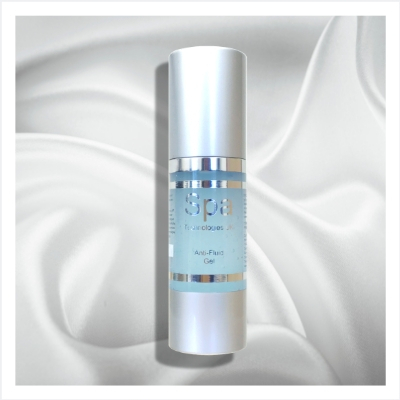 BENEFITS: It gently refines surface skin to speed up cellular turnover and stimulate microcirculation into the dermis. 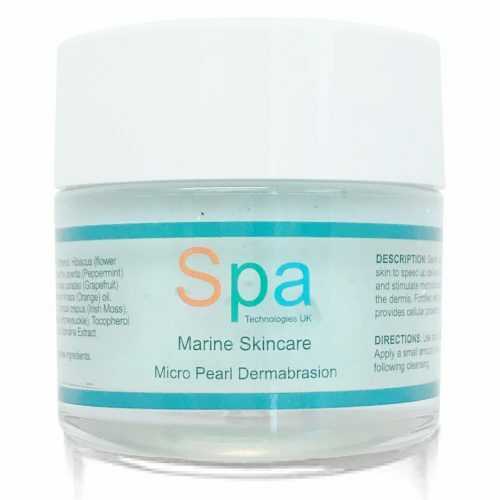 Micro Pearl Particles: 100% natural pearl crystals, biodegradable and responsibly harvested. Gentle skin refining, rich in bio-available calcium with healing proprieties. Fine Pumice: Powder made from aerated volcanic rock to gently refine skin. Lithothamnium Calcareum: Pure paste of Coralaceous calcium rich algae, harvested off the coast of Brittany, provides a perfect balance of calcium and magnesium. It is anti-inflammatory and reduces swelling from water retention. Spirulina extract: Rich in clorophyll, powerful antioxidant., helps skin breathe and purifies it. USE: For all skin types, once or twice weekly. Apply a small amount over wet skin following cleansing. Rinse off and follow with the appropriate serum or moisturiser. Can also be use as a mask. Apply a thin layer over face, neck and chest area, leave for 10 minutes then thoroughly rinse with lukewarm water. INGREDIENTS: Isotonic seawater, Undaria pinnatafida (Wakame), Helianthus Annuus (Sunflower) seed oil, Laminaria & Porphyra algae extracts, Lithothamnium algae, Butyrospermum Parkii (shea butter), Cetearyl glucoside, Squalane (Olive oil), Glycerin, Pumice, Decyl glucoside, Pearl crystals, Panthenol, Hibiscus (flower acids) extract, Mentha piperita (Peppermint) oil, Citrus paradisi (Grapefruit) oil, Citrus Aurentium Amara (Orange)oil, Xanthan gum, Chondus crispus (Irish Moss), Lonicera japonica (Honeysuckle), Tocopherol (Vitamin E oil) and Spirulina Extract.